How Important Is Magnesium For The Body? What Should The Doctor Know? You might have 1000 questions before you start breastfeeding your child; can you consume Magnesium Citrate while breastfeeding is just one of them. Our post will give you all the information you need about using magnesium citrate and its effect on breastfeeding mothers. Magnesium citrate is prepared in salt form with the citric acid, and that’s why the name magnesium citrate. 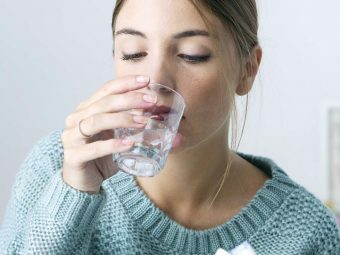 Magnesium citrate attracts water through the tissues with the help of a process known as osmosis. It is also used as a dietary supplement for patients who are deficient in magnesium. Lack of magnesium in the body leads to Muscle weakness, an irregular heartbeat and sometimes irritability. You need to eat a balanced diet, and when there is a deficiency of magnesium in the body, your doctor will prescribe you some magnesium supplements for it. The best dietary source of magnesium is green leafy vegetables, nuts, cereal grains, beans, etc. Researchers say that cooking the food might reduce its magnesium content; it is advisable to have vegetable and nuts raw. Hard water is surprisingly said to have more magnesium content that soft water. Before using the medicine, it is important that your doctor knows about any allergies that you had while using the medicine. Share all the information with your doctor about your allergies. Magnesium Citrate is one of the most widely used magnesium supplements. It is inexpensive and has a mild laxative effect. Magnesium citrate powder is considered the best supplement you can consume it on a daily basis. Since a lactating mom like you needs enough vitamins and minerals for the baby to grow properly, magnesium is very important too. 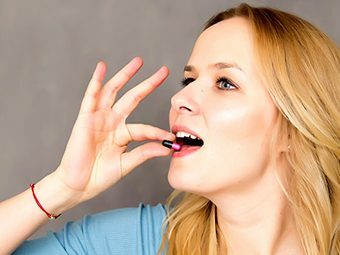 It is important that you consume the supplement in the right quantity and not exceed the prescribed amount. A large amount of the supplement may be harmful to both the mother and also the child. Research says that the amount of magnesium in the food is declining, and hence the need for supplements. Early signs of deficiency include, vomiting, nausea, weakness, fatigue and loss of appetite. Magnesium is tolerated by most moms; it can have side effects like nausea, vomiting, and diarrhea. An overdose may cause drowsiness and also weakness. Avoid magnesium citrate if you have a stomach ache, nausea or vomiting. Store it at room temperature and away from heat. If you happen to miss a dose, you can take it during the day. Do not take the missed dose the next day, skip the dose you missed. It is advisable not to take a double dose of the medication. You can safely consume supplements of magnesium citrate while nursing. You might need them to increase or balance your baby’s magnesium level. It will also help your baby sleep better and prevent constipation. It is said to soothe an upset stomach. An elevated magnesium level relieves constipation in mothers. As a breastfeeding mom, you could be advised to avoid prolonged use of the supplement. We hope you found our post useful. If you know someone who consumes magnesium citrate, tell us about it here. If you have any other information on Magnesium Citrate and breastfeeding, please do write to us. It would help other breastfeeding mothers take sound decisions. Technology has brought all of us closer and moms should help fellow moms out. Take a second, and leave a comment below. We would love to hear from you. Is Paroxetine (Paxil) Safe During Breastfeeding? Is It Safe To Have Phentermine While Breastfeeding? 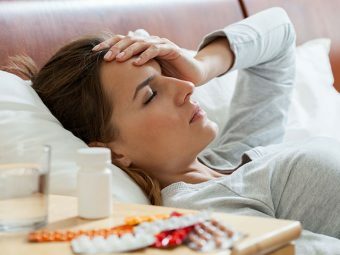 Is Ambien Safe While Breastfeeding? Alcohol And Breastfeeding: Do They Go Together? Is It Normal To Fall Asleep While Breastfeeding? Can You Take NyQuil When Breastfeeding? Is It Safe To Consume Lansoprazole While You Are Breastfeeding?